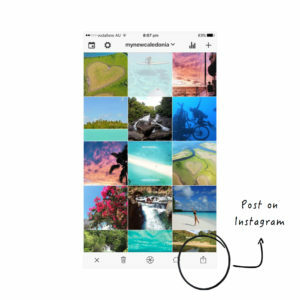 Today’s article is dedicated to planning the publications on Instagram. 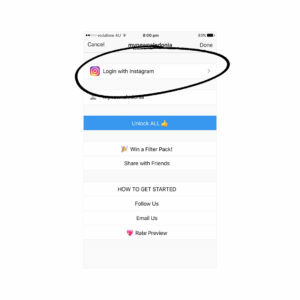 The formula behind it is easy – for obtaining a larger amont of subscribers on Instagram your account has to be very active. Your followers want to obtain a high quality content, and they want it often! In order to keep your audience engaged, one post a week is definitely not enough – you need to have 2 or more posts a day! By planning the publications in advance, you can save a lot of time. Many of us feel bored to launch the app every now and then, finding the picture, editing it, writing descriptions, adding tags, liking and commenting other posts. If it’s your personal or creative blog, you may be simply not in mood – and these days can be covered with the posts that you have planned a while back. Posting and organization of content in your profiles can become a mess, especially if you work on several accounts at the same time. However, planning will help you to see how each of your publications is going to look from the side. One of the main disadvantages of Instagram (especially for those who focus on long articles or on professional photo and video content) is in impossibility of making the posts through your desktop computer. It undoubtedly creates inconveniences, as the users need to switch between their telephones and PCs all the time for creating a single publication. However, planning instruments help you to organize this process in a more convenient mode and to work on Instagram through your desktop computer. If you want to bring your account up to a higher level of quality, then you need to start planning its looks in advance – it will help you to make your page more attractive and aesthetic. Instagram built-in functions do not allow to plan or postpone publications, thus, you will need a special app to be able to plan them. Here are the most popular online services for planning and posting the publications on Instagram. Most of them have trial versions, but in order to enjoy their full functional, you’ll need to buy subscription, which costs on average from $10 to $25 per month. Delayed posting is also good for the possibility of planning your publication for the best time, in which the reach of your target audience is the highest. Specialists assume that the best time for posting is between 18.00 and 19.30 from Monday till Friday or around 11 a.m. through the weekends. This is the time when Instagram users are the most active. However, in reality the best time for publications is individual, for no market research can know the habits of your subscriber better than you do. We advise you to analyze your audience to create a content-plan, and to keep to it with a help of one of the services for automatic posting.